We love when our wedding clients, like Melissa and Tommy seen here, choose to have a private “first look” on their wedding day. It’s one of the most romantic moments of the wedding celebration. It’s the first time the bride and groom see each other, all dressed up in their wedding day finest, on the day itself. Usually in a beautiful location at the wedding venue. 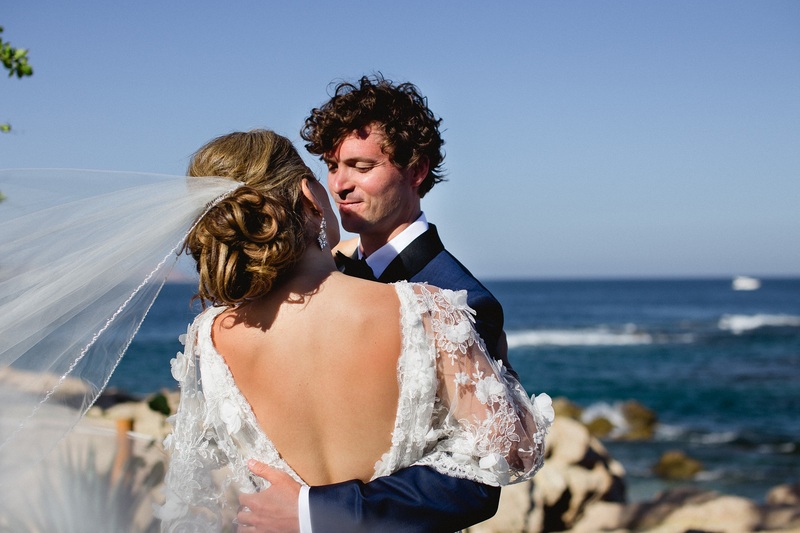 In this case, Chileno Bay Resort & Residences, with a photographer and videographer capturing every moment! 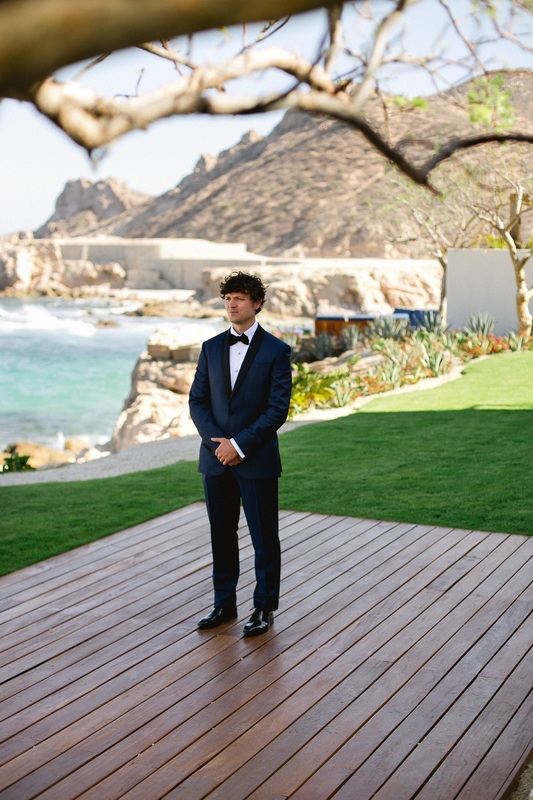 From the nervous anticipation as the groom waits for his bride to tap him on the shoulder, to the pure elation and joy when he turns and sees her face, to the disbelief and tenderness as he admires her whole bridal silhouette. Then, the embrace. The kiss. And most of the time, the tears from both. Many of our engaged couples, usually those getting married in a church, keep to tradition and see each other for the first time as the bride walks down the aisle. Exactly like the royal weddings, both William and Kate and Harry and Meghan, saw each other for the first time during the ceremony. And we all saw how endearing their responses were, even in that public setting! But most of our couples aren’t used to living their private lives on stage like The Windsors. Which is why we encourage our clients to choose a more intimate setting for their first look. Just the two of them alone. 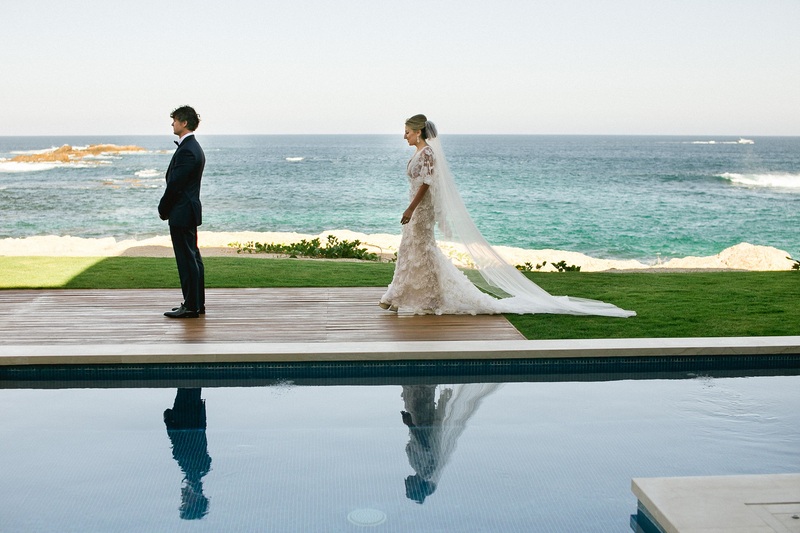 Preferably with an incredibly scenic backdrop behind and around them, to memorialize the wedding location itself. 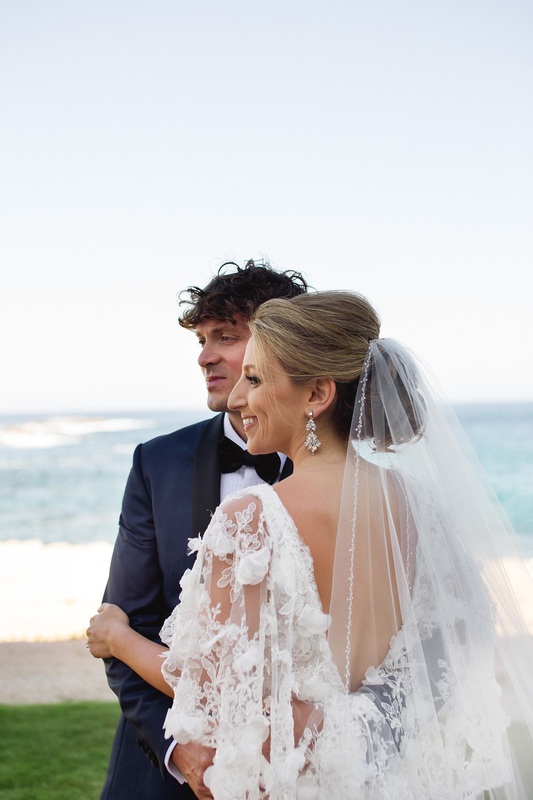 We knew that if Melissa and Tommy planned a first look before their wedding ceremony they would feel less anxious when saying their vows in front of their guests. It would also allow them to get more photos and videos taken of just the two of them. Authentic, emotional, photos to treasure for the rest of their lives! And, as you can see in these photos from Pink Palm Photography, the suggestion was a good one. 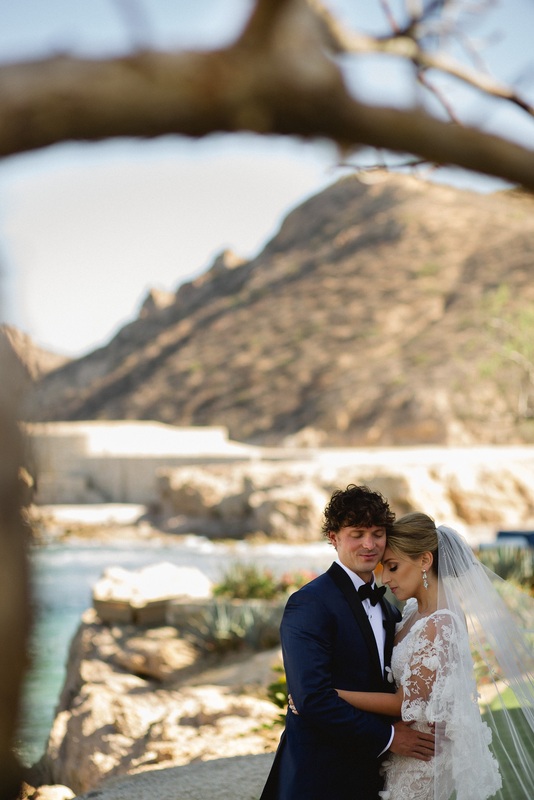 After their private first look, you can see the natural ease Melissa and Tommy have with each other during their ceremony. Starting the day alone brings it all back to the reason the wedding is happening in the first place — LOVE. That grounding comfort shows in their loving expressions and was heard in their confident voices. All amazing reasons to plan your own private “first look” photo session!